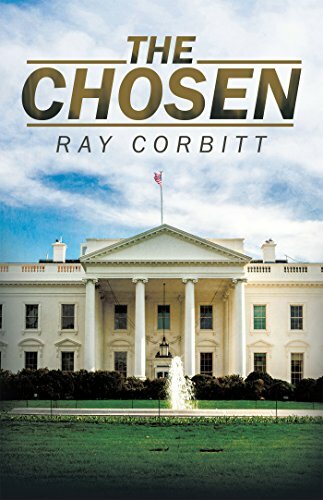 The Chosen by Ray Corbitt is an interesting that is perfect for the fans of the political thriller genre. It’s substantially deep and entertaining. A program is put into place to create a pool of leaders who are trained from a young age with certain values not easily found within the societies they are destined to lead. The children are from a variety of backgrounds, but they all share the fact that they are highly intelligent and display the potential necessary to lead. There are many positive aspects of The Chosen but the one that strikes the loudest is the realism that is interlaced with imagination. The people, the places, and even the situations are all believable to the point that it really doesn’t take much work on the part of your reader to picture everything being described as if it were news of some real event. The lives seem real, the pain and suffering feel authentic, and the author does a fantastic job leading the reader through the lives on display. I felt that the character introductions, while well described, could have been a bit less formulaic. I would have appreciated more variety with the character introductions. That said, the characters were very well developed and varied making them both believable and easy to form relationships with. 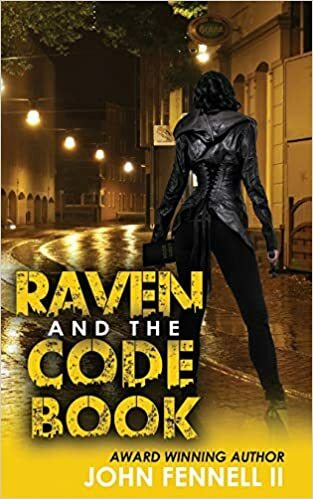 Creating characters that seem as though they have been plucked straight out of real life can be a bit of a challenge for even the most seasoned authors but Corbitt certainly has a talent for it. The only other complaint is more of a preference issue than anything else. The descriptive style employed by Corbitt for The Chosen strays a bit from the treasured ‘show, don’t tell’ philosophy that controls how the writer’s world opens itself up into the readers mind. I would have preferred more contextual clues to the straight descriptions offered. For a short read directed squarely readers begging for a good suspense novel, The Chosen deserves four out of five stars for its originality and ability to bring readers into the writer’s world. 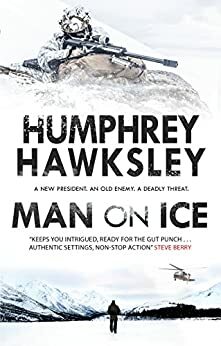 There is never a dull moment in Humphrey Hawksley’s Man on Ice: Russia vs the USA – In Alaska. Not only is there intense action, the gripping story will keep readers glued to the pages until the story is done. This novel is carefully planned and executed in spectacular fashion and it’s hard not to feel the intensity with each sentence. We follow Rake Ozenna as he returns to his home island in Alaska with his fiancé in tow. Rake us a brilliant military veteran and Carrie Walker is a passionate doctor. The story begins with a medical concern over Rake’s niece struggling in childbirth and then explodes into a frontal assault between Russia and the United States of America some 48 hours before the inauguration of a new president. 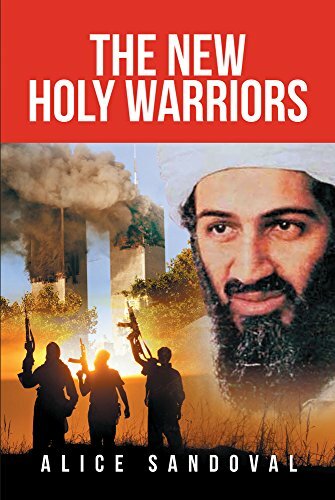 This book explores the heighten tensions of looming war, the strain a relationship can undergo under such trying times, and the bonds that tie us to those we call family. Each of these themes is expertly crafted as if reading a biography of someone’s life. Characters change, for better or worse, but continue to develop as the story progresses. At first, it might seem overwhelming when readers realize just how intense the topics are that Hawksley is going to address. However, the humanity he affords his characters is genuine. Readers will feel an emotional connection to their fictional lives. From start to finish Man on Ice is, I think, about risk; what is risked and what is gained. It’s a complicated matter, writing about politics, especially in such a sensitive time. There are so many people, positions, relationships to carefully lay out. Hawksley doesn’t seem to have a problem with weaving a complex narrative that is easy for readers to follow, even for those who may not be politically savvy. This is part of what makes such a great novel and shows readers what a good writer Hawksley is. the fine attention to detail is what gives away the rich research that went into this novel, and Hawksley does his best to be respectful to Eskimo culture and portray the reality these people face in the far north. He takes a hard look at the struggles these people are facing and doesn’t shy away from harsh comments on the reasons why they are in the place they are. The pace is fast and the energy is high in Humphrey Hawksley’s Man on Ice: Russia vs the USA – In Alaska. It’s a tense situation with Russia threatening invasion while America wrestles with its new president-elect and the delicate touch that politics requires. It’s a journey of one man who has returned home for tender reasons and who leaves his home slightly broken. This book takes a look at the human condition and dances with the delicate relationships formed within. It starts off with darkness and trepidation yet a small piece of hope, only to descend into a flurry of agony and tough decisions. This is more than just a political thriller. Father Michael Kieh suffered the loss of his family in Liberia as a child. Taken in at a Catholic center for children, he went on to become a priest. Father Michael was stationed at the airport in London, listening to confessions of passing travelers. He became involved with a crime that happened years before involving some of the most powerful people in London, and found himself drawn into a very dangerous situation. Through love, loss, and love again, Father Michael navigates the difficult terrain in which he finds himself, trying to heal his past through his actions in the present and his hopes for the future. This book ended up being one of the most enjoyable books I’ve read in some time. 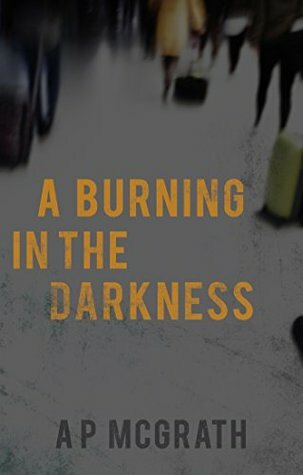 I don’t read a lot of thrillers because I often find myself disappointed with how un-thrilling they turned out to be, but that was not a problem I had with A Burning In The Darkness. I was drawn in from the very first page, finding myself looking for stolen moments to sneak in a few more. One quirk of the book is that it appears to have been written by a non-native English speaker, which left behind some stilted English. The first time I encountered it in the book I worried it was a bad sign, but on the contrary, I found that the mistakes in English made it quite charming, like listening to someone with an accent telling a story. Though there were some grammatical mistakes in it, on the flip side, much of the language was beautiful and parts of the writing were almost poetic. I found myself, more than once, reflecting on a beautiful turn of phrase. I felt all of the characters in the book were well developed, and Father Michael was both sympathetic and borderline heroic. I had some strong feelings about nearly every character that appears in the story, and that’s not always an easy task to accomplish. A.P. McGrath did a wonderful job breathing life into each person in the novel, giving them their own personalities and making them deeply likable, or deeply detestable, driving the story forward with strong character development. If I have one complaint about the story itself, it’s that everyone was perhaps a little too charmed by Father Michael. It seemed that everyone he met fell under his spell right away, and that seems rather too neat for me. I felt as though it was too easy for him to convince the right people to trust him and to help him. All in all, I found this to be an addictive book. So much so that I was sad to say goodbye to the characters at the end and wish there was a sequel. This is my first exposure to A.P. McGrath’s work, but I will definitely be keeping my eye out for the next novel! Nancy is like any woman in the prime of her life; active, engaged with hobbies, and busy with a normal day job. But underneath the surface, she is anything but ordinary. Plagued with a strange form of narcolepsy, Nancy can’t help but feel the grip of forces other than her own. With her uncle’s seemingly gracious help coming into question, she is soon exposed to the world of government conspiracy, mind control and espionage. It’s up to her to find out who’s behind it all, but can she get a grip in time to save herself and others? Tantra Bensko’s Glossolalia is a thrilling and bumpy ride through the mind of a woman who comes off initially as relatively boring and normal. She’s crushing on a co-worker and at the mercy of jokes from her cube mates. She has her hobbies, piano and karate, and a good friendship with a girl named Alyssa. After Nancy’s parents died mysteriously when she was younger, her uncle Geoff took her into his care and provided her with a stable job at his corporation. Plagued with fugue states and narcolepsy her whole life, her uncle has also been giving her a steady supply of pills that she can’t seem to break her addiction to. She starts to question her uncle’s intentions and in an effort to break free from him and the pills, she coincidentally starts to reveal Geoff’s much darker agenda for her. Initially, I began to question Nancy’s motives and her own sanity. The writing was quite scattered and jumped around enough to make me wonder if Nancy was just in a constant state of a psychotic break. In one moment her mind was scrambling for answers and in the next it was calm and reasonable. It took quite some time to figure out the relationship between Emily, Angela and Nancy, but the slow reveal did add to the suspense. Nancy’s tenacity and constant questioning of her life kept the book moving along at a nice pace. 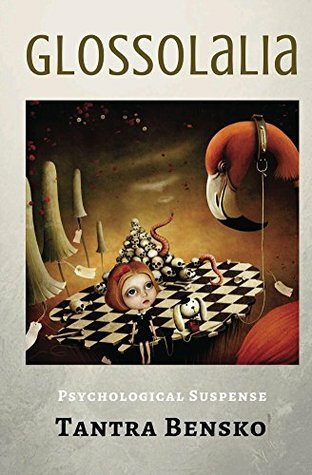 And there is plenty of references to the Nevermind, the CIA, MKULTRA, and other government groups which helps to build the psychological suspense of the novel. 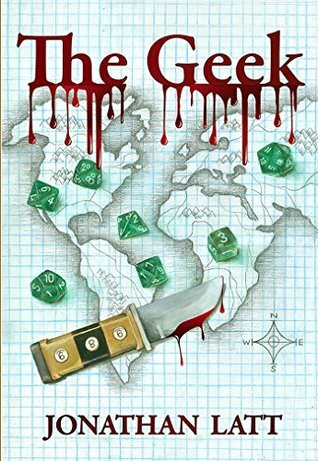 The Geek is about an assassin that is trying to get out of the game. What draws you to the spy/espionage genre? I’ve always been fascinated by conspiracies and the world of shadow/clandestine operations. I think it’s that wanting to know the unknown, or not well known that has always drawn me to this sort of world. Motivation is also a big thing for me when exploring worlds like this. What type of person would choose to do this for a living? What would they be like? What does killing for a living/for your country do to you? Those sorts of questions really intrigue me. What was your inspiration for The Geek and how did you decide on the code name? Well originally The Geek was developed as a T.V. series. It was optioned and developed on two separate occasions but never moved past the initial stage. The story is much longer but I don’t want the reader to get bored with a lot of “inside baseball” stuff. When I first developed The Geek, I wanted to do a live action comic book. This was before comic book movies and series were incredibly popular (and/or done correctly). It was a very over the top 9pm friendly kind of show. When it finally turned into a book, it became far more dark and I like to think more realistic in its portrayal of the invisible world of government sanctioned assassination. I’ve changed as a writer and the times have changed as well, so I think really this is the true version the story was always meant to be. I chose the codename The Geek because of a logic game I’ll play in my head sometimes when writing. A man, who was constantly bullied as a child for being “the other”, shy, uncomfortable, not athletic or good looking per se. He loved (and loves) video games, science fiction, fantasy, comic books and of course Dungeons and Dragons. The term that was used to taunt him his entire life, being called GEEK, he chose as his codename. He took the power back that was taken from him as a child. To turn the word Geek from something used to make him feel bad or “less than” into a word that would strike terror into those who fell into his cross hairs. Gary (the main character) liked the idea of scaring the bullies of the world with a word/phrase that shouldn’t or wouldn’t normally terrify them. Readers can easily find themselves lost in another world filled with spies, secrets, and lies played on a global stage. Did you do any research for this book? How did you develop such and intricate story? As I touched on earlier I’ve been fascinated with this world for a long time and have done a lot of research in the past regarding clandestine operations. 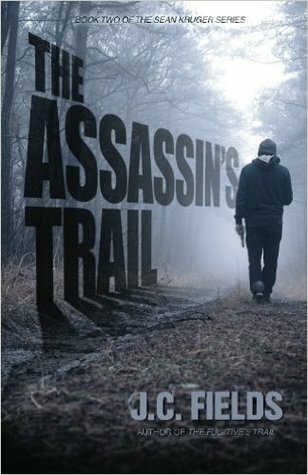 But for this book I also did quite a bit of research in regards to how a government agency like the CIA would go about using assassins. The CIA does not have a mandate to kill, so how would they use assassins if they wanted to go around killing people. So while some of it is supposition, there was also quite a bit of research into how it would (or does) work. As far as the global stage goes, I’ve been incredibly fortunate in my life to be able to travel extensively. When I do travel, I take tons of photos and notes of my journeys. Most of the locations in the book are places I have been either multiple times or for extended periods of time. And or course I had my photos and notes to fall back on when writing. In regards to this being an intricate story I’ve known these characters for quite some time. When it came to plotting out the novel, it was just a matter of fleshing out the individual story lines, character motivations and making sure they connect in the right way. I hope that’s not too vague of an answer. Considering the NSA evidently reads every email written, I would like to take a moment and say to our friends at the NSA that I of course do not believe the CIA or any government agency would ever do anything along the lines of employing “off book” assassins. So please don’t have me killed. What was the hardest part in The Geek for you to write? The hardest part was definitely switching from screenplays (which I’ve been doing for 16 years) to prose. I didn’t think it would be all that different but it was and the learning curve was steep. I originally was using an old version of the feature film script (another long boring story) as an outline, but it just didn’t work. I’ve changed as a writer and times have changed and the tone and style just didn’t seem to fit. I was about 200 pages into the novel when I realized I had to scrap it and start over with just the characters that I’ve come to love. It was the best thing that could have happened as I truly believe had I not done that, this book would not be what it is. In terms of what was the hardest for me to write emotionally in the book, I’d have to say -without giving away spoilers- there were a couple of deaths that ended up needing to happen in order to progress the story. Originally these characters were supposed to live, but it just didn’t feel right. I had grown so attached to them that I didn’t want to kill them. They were tough deaths to write and say goodbye, but in the end it was the best thing for the story. Considering the comments I get regarding one of these character’s deaths and how it crushed the reader when it happened, I really think I did the right thing… though I still feel kind of bad about it. What is the next book that your fans should look out for? Well I have started preliminary work on the next book in the series, but it’s not a sequel per se, but more of an expansion of this world and deals with one of the survivors from The Geek. I am currently concentrating on two separate stories that I hope to launch as kindle serials in January and February 2016. The first is a straight up sci-fi action/adventure called Blood Rebellious. It’s about a family of pirates, smugglers and thieves who have to save the Earth and all of humanity from an enemy that no one knows exists. It’s a bit more light hearted than The Geek and I’m having a blast writing it. The second is a modern day fantasy/sword and sorcery mystery/thriller entitled Night Mage. It’s about a young woman who finds herself in over her head and unlocking powers she never knew she had. Which will be great for her, if she can figure everything out before she gets killed. It’s a little edgier, but is something I’ve been developing for about five years and I like to think it is a bit of a different take on the usual magic wielding fantasy story. I’m also still doing screenplays and am working on one called Ur Perfect that was recently optioned, so fixing that as well. I refer you to my earlier note about coffee! Gary Geiecki (pronounced Gee-ecki) is a skilled assassin. He’s been an unofficial CIA killer for the past twenty years and has decided to retire. There is no such thing as a truly perfect assassin and Gary was no exception. He was, however, very good. Gary left a wide trail of bodies behind him, over his long and productive career. Riddled with childhood insecurities and social awkwardness Gary desperately tries to move forward with his life after retirement. He quickly finds it is far easier to kill someone else than it is to kill the ghosts of the past. 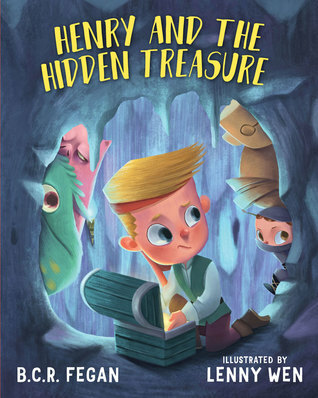 Gary soon learns that what is in the past doesn’t always stay there. His greatest enemy… a man thought long dead… is back and seeking vengeance. Gary must now fight for not only his life, but everyone he holds dear and finally put this last ghost to rest. Gary will learn that the old saying You can’t go home again isn’t exactly true. You can go home again, but you shouldn’t.